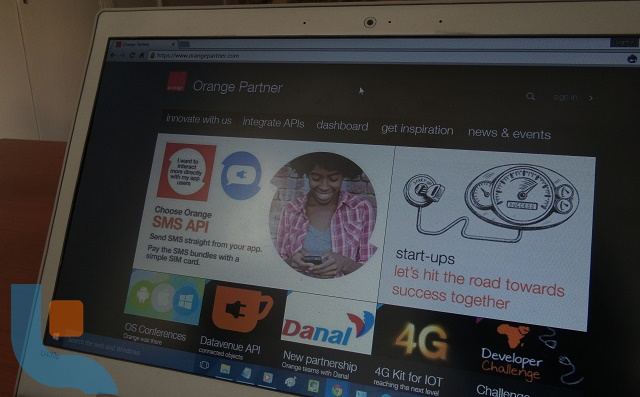 France Telcom Orange, will give Kenyan startups a chance to develop applications using the existing Orange APIs(SMS, USSD and Operator billing) in the Orange API AMEA (Africa, Middle East and Asian Countries) Developer Challenge. Startups can now submit their application ideas in a bid to compete globally and stand a chance of winning 10,000 Euros. Startups from 14 African and Middle East countries including Kenya, Tunisia, Jordan, Mali, Botswana and Guinea Bissau will participate. Additionally, Orange is also inviting submissions from France in this year’s challenge given the unique insight French startups can bring to the design and development of new services for users in Africa and the Middle East. The aim of creating and expanding this challenge is to spur and nurture the creation of unique and local services for Africa and the Middle East from the growing entrepreneurial base developing the participating African countries. This comes at a time where the world has taken notice of Kenyan startups and developers after the GES summit that was held in July. Global interest in Kenya’s economic potential was sparked from the entrepreneurship spirit and energy displayed during the summit . This has attracted many global partners and investors and France Telcom-Orange is one of them. Last year’s winning project came from a startup in Senegal, Mlouma, which created a portal for m-agriculture that connects buyers and sellers. Using Orange APIs, Mlouma created a USSD and SMS version of their portal and were able to start charging customers after integrating the Orange Carrier Billing API. The Orange API Developer Challenge will be preceded by local chapters of the same in all AMEA countries , with ten ideas being shortlisted for the global competition. The deadline for local submission is September 15, 2015. Ten proposals will be shortlisted at the local level that will thereafter be required to develop their applications for submission to a judging panel by November 1, 2015. The top three applications will receive cash prizes; Ksh. 350,000 for the winner, Ksh. 100,000 for first runner up and Ksh 50,000 for the third runner up. Additionally, the top three applications will also be awarded and Orange Klif phones. The winning application from the local chapter will also compete against other top applications from the rest of the AMEA region and France, for a chance to win the overall global prize of 10,000 Euros, in Cairo, Egypt, on November 25, 2015. Interested developers can log on here to apply for the challenge.